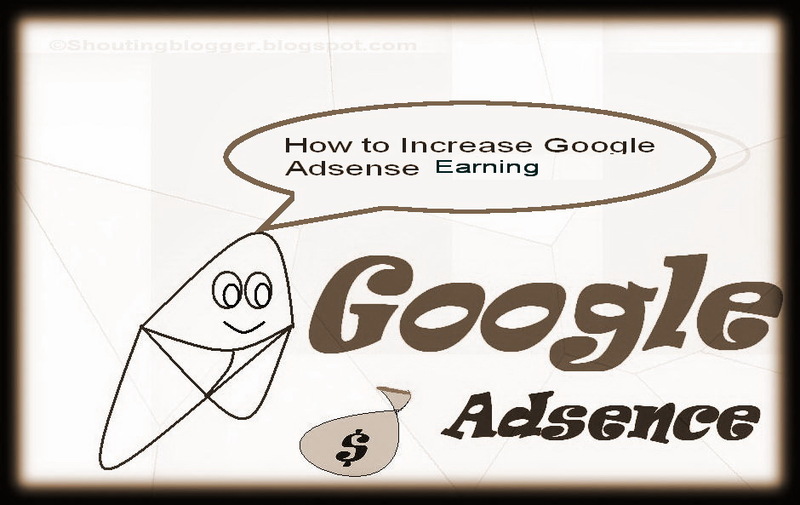 How to Increase Adsense Revenue ? According our latest Studies made by our Shouting blogger team , We have found many publisher who are really making out 3-4 Digit earning by from there website or blog all though they don't even gets much traffic ( 30K to 50 K Pageviews , 10K to 15K unique visitor ) , Actually earning money from Adsence Depends on Cpc rate , Cpm rate and Adsence impression moreover more traffic Boost your Adsence revenue like Rocket . By Keeping Few important Points related to Adsence , you can improve your Adsence revenue as never before upto 2 digits - 3 digits a day (you need Atleast 30K to 50 K Pageviews , 10K to 15K unique visitor ( Organic Visitors) ) . There are many factor which counts toward your Adsence earning performance . Visitor do search website to find out best content they are looking at within your website , which not only boost your website Pageviews but also you can earn handsome ammount of money from these Adsence enabled , Only you need to generate Adsence enabled search engine form your adsence account , grab code and embed in your website/blog . Whenever any visitor search through your adsence search engine , along with traffic , Your Adsence enabled search engine will generate revenue by showing Adsence ads on search . Adsence for feeds are best way to monetize your feed with ads , This type of monetizing feed generates handsome amount of revenue for those who already have 10000+ Feed readers , with every Content update you made to you website , youe adsence for feed reaches to all of your Feed readers , giving your Adsence Feed lots of impression due to which your overall Adsence income improves a lot . But do not use Adsence for feed with low feed reader ,no doubt it will also improves your Adsence revenue but you wont be getting enough revenue with less subscriber ( 500 ) . you can enable your Adsence feed from your Adsence account but make sure you enabled full feed for your website . 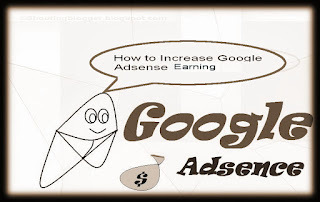 Its damn simple Adsence trick to boost your Adsense earning , Bigger ads size will improve ads visibility to your website audience which means more Google Adsence CTR rate ,As compared to Small ads unit these bigger ads unit perform well since bigger ads unit Cpc and Cpm rate are high . Although these Bigger ads unit are being easily noticeable for visitor but these Bigger ads unit are of no use if irrelevant adsense ads appears to your website. So make sure to optimize your Google Adsence Crawler access and website/blog to serve relevant Adsence ads . Google Adsence Color play important part depending upon your website theme , while making ads unit for your website make sure there color matches with website theme . Actually ads color does not change ads cpc and cpm rate , by adding color that matches website/blog color would improve your Adsence CTR Rate .Do a bit of experimenting with your ads unit color and font and analysis for best Adsence revenue generating ad unit color . While creating adsence text unit make sure your ads background does not make Text ads hazy and blur , this will reduce Ctr rate and also there will be chance for your Adsence account to be Disabled for going against Adsence terms and Conditions . So, Choose such color which make ads text link completely visible . Success rate ads performance are different for different types of, Some ads type generates high ctr rate while generates high Cpc rate . According to our studies , Text ads link unit generate more ctr but less Cpc rate while some other ads unit like image .flash generate more Revenue cpc and cpm then text unit with low ctr rate .